When you have an emergency you need help right away as soon as you can get it. This means that you might not always be able to travel to get the help you need. At Fresh Meadows Locksmith we make getting help much easier by traveling to your location and offering our help whenever you need us. Located in New York, Fresh Meadows Locksmith is proud to service the Fresh Meadows and surrounding area in New York State. At Fresh Meadows Locksmith we provide a wide range of services for your home, car, and business. 24 Hour Lockout Service- At Fresh Meadows Locksmith we realize that an emergency can happen anytime without a warning. 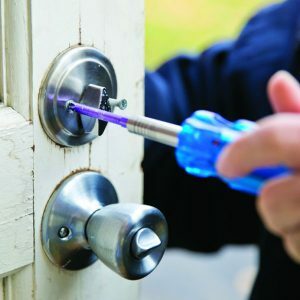 We provide emergency lockout services for your home, car, and commercial residence 24 hours a day 7 days a week. Give us a call right away and a licensed professional will come to you and get you back on your way in no time. 24 Hour Door Repair- Call us for all your door repair needs. If you need to repair any doors for your home or commercial residence we can send a locksmith to your home or business to get it fixed right away for an affordable price. Car Re-keying and Replacement- If you are having problems with your keys for your home or ignition it may be time to get your locks re-keyed or replaced all together. At Fresh Meadows Locksmith our mobile locksmith can arrive at your location in a matter of minutes to re-key or replace your locks for your home, automobile, or commercial residences. Intercom Repairs and New Installation- When it comes to security we understand that you want the very best of the best. We provide you with high security intercom systems and can repair or install a new intercom system so you are never left without the safety and security you are looking for. Our intercom systems are great for both home and commercial settings, and best of all are affordable. We also have available safes and vaults for home and commercial setting so you can keep all you valuables safe from damage or the potential of theft and burglary. When it comes to great service, we here at Fresh Meadows Locksmith are wholly committed to providing you with the very best. We understand that you are looking for the best service at a reasonable price and that is why we make sure to give you that excellent service and also make it affordable in the end. Check out our website today at www.freshmeadowslocksmith.com to see a full list of all are services. You can also take advantage of our 15% discount on all locksmith services. You can also give us a call at (718) 233-1144.